Applications through online mode are invited from the permanent residents of Jammu & Kashmir State possessing the prescribed academic/professional qualifications and age for the posts of Consultant in Health & Family Welfare Department. Educational Qualification: MBBS or possession of recognized Graduate qualifications in the First or Second Schedule or Part-II of the 3rd Schedule (other than Licentiate qualification) to the Indian Medical Council Act, 1956 with Post Graduate Degree in the respective specialty mentioned or Post Graduate Diploma mentioned for the concerned subject. Fee charges: Applicants who wanted to participate for JKPSC should pay the below charges through online. 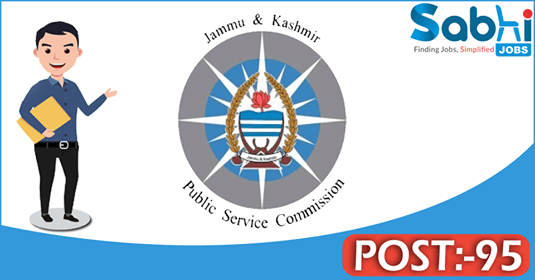 Interested and eligible aspirants may apply online through the website www.jkpsc.nic.in from 15.03.2018 to 16.04.2018 & send hard copy of online application along with other requisite documents to the office of the Commission at J&K Public Service Commission, Resham Ghar Colony, Bakshi Nagar, Jammu/Solina, Srinagar on or before 18.04.2018.